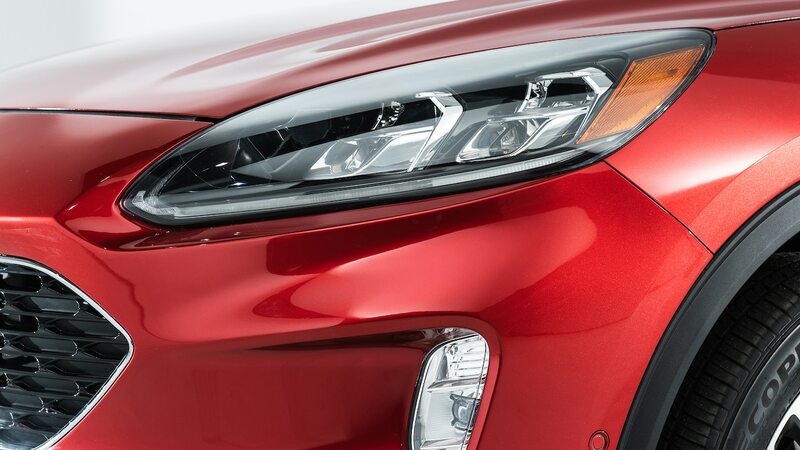 The irony is not lost on us. 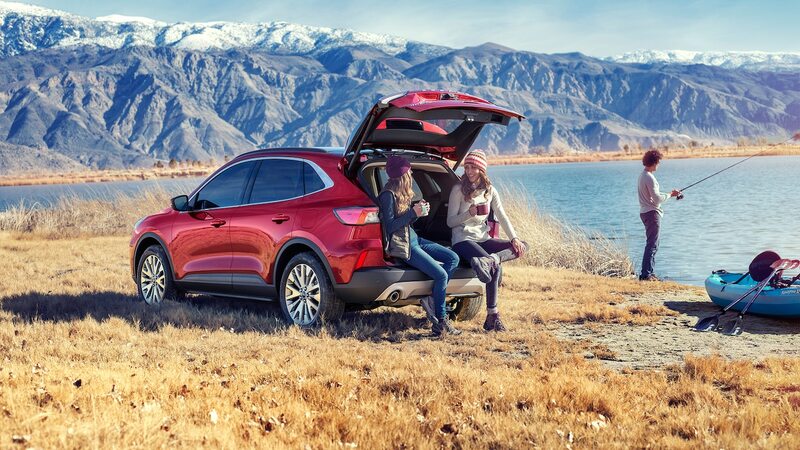 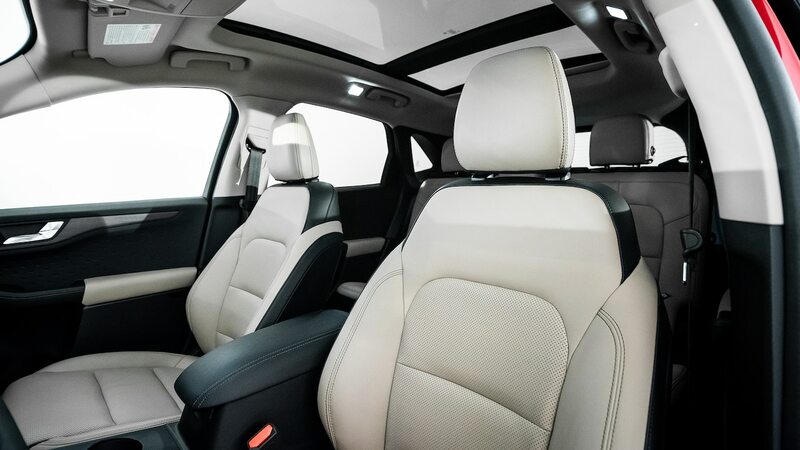 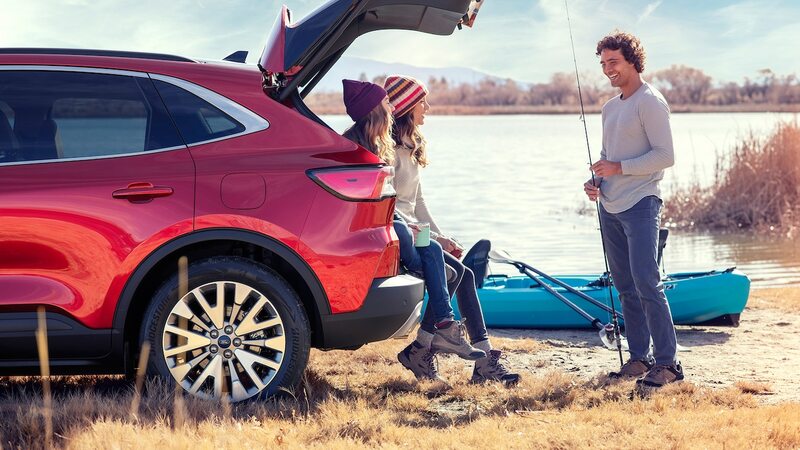 The all-new, redesigned 2020 Ford Escape looks more carlike and debuts as the automaker continues to exit the car market. 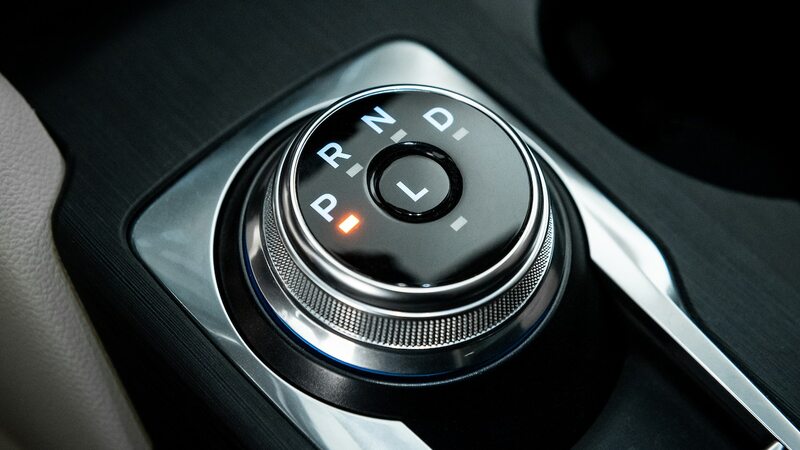 Irony aside, we get the logic. 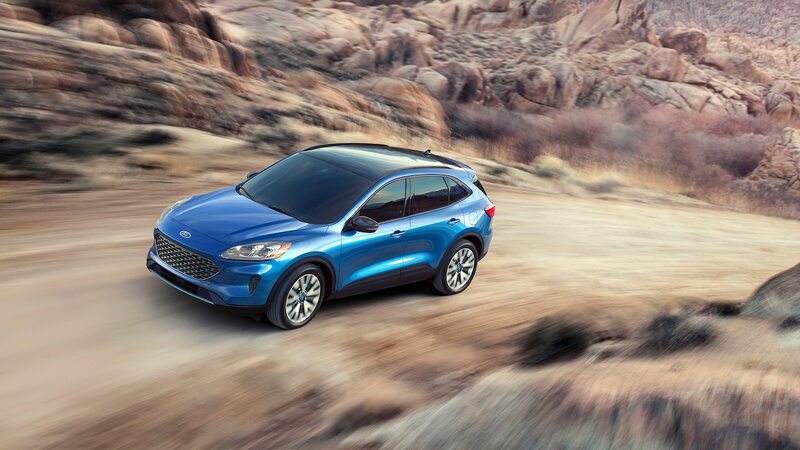 Ford has a similar-sized crossover coming that’s designed for the urbanite who wants to veer off-road. 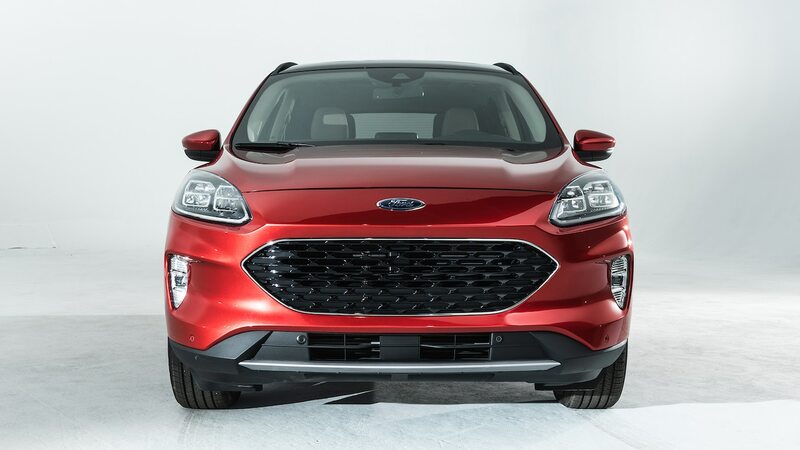 The unnamed compact utility—nicknamed Baby Bronco for now—will be more upright and square in shape, with skid plates and shorter overhangs. 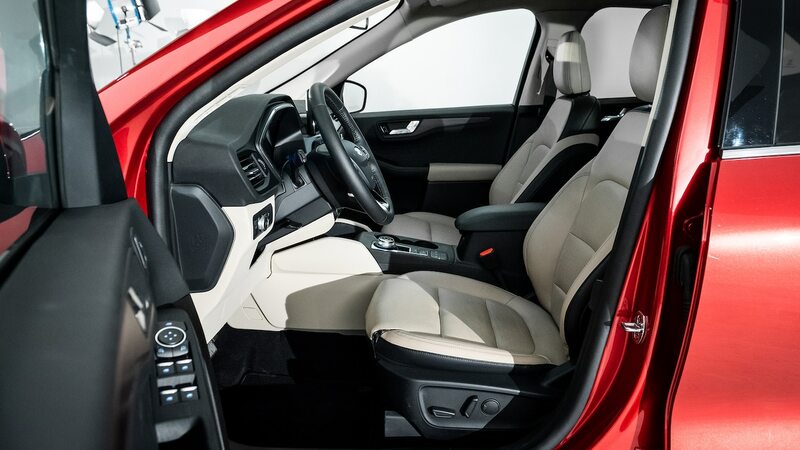 To better differentiate the two, Ford is steering the fourth-generation Escape directly at the urbanite who used to buy cars but now prefers the higher seating position and functionality of a crossover. 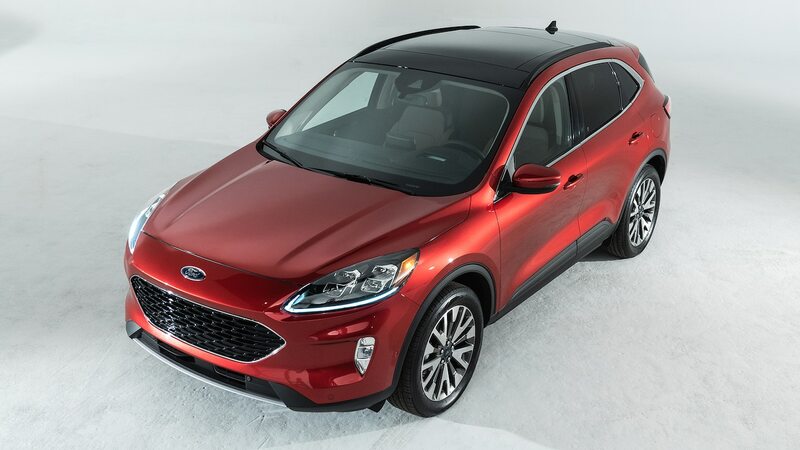 In another nod to modern trends, the Escape will be offered with a variety of powertrains, including a choice of gasoline engines as well as a hybrid and a plug-in hybrid. 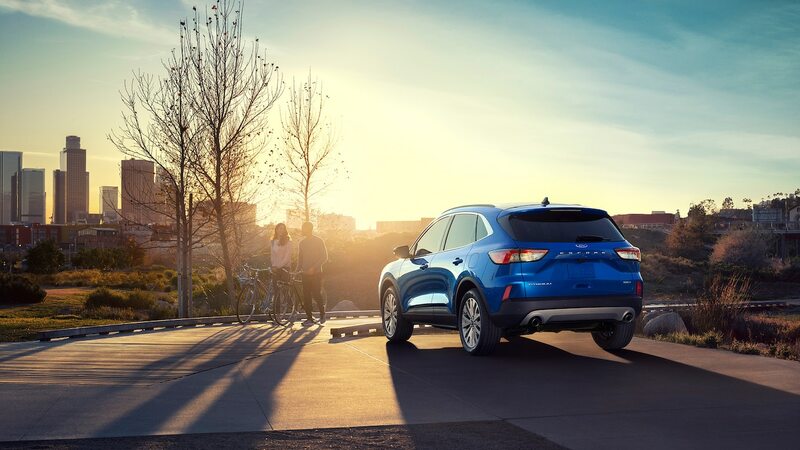 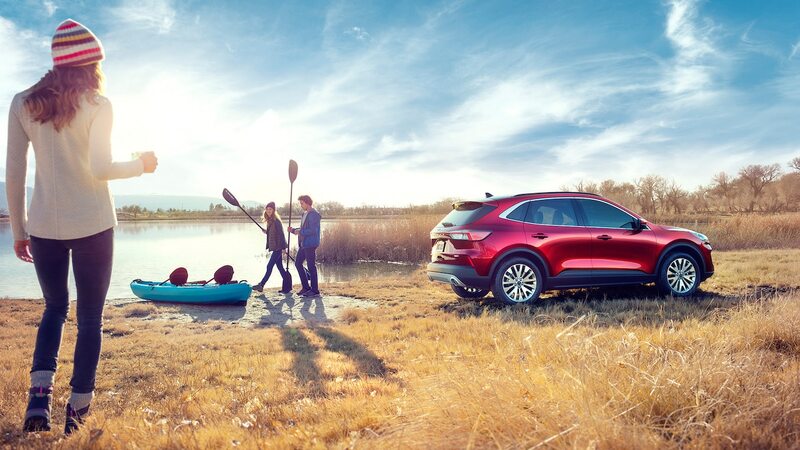 The latest Escape rides on a new front-wheel-drive architecture with all-wheel drive available on all but the plug-in hybrid. 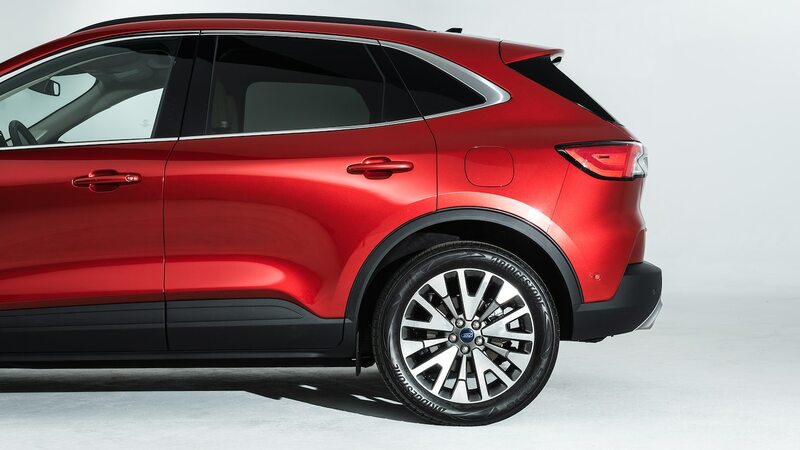 The latest stab at a compact SUV is designed with the breadth to appeal to a wide swath of would-be buyers. 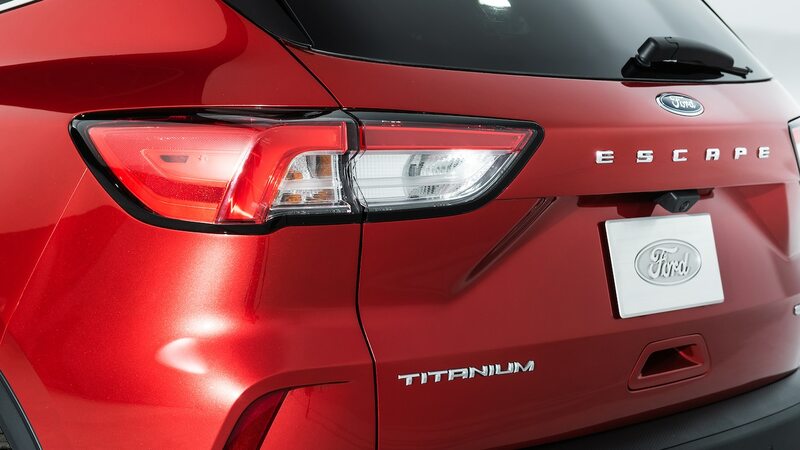 There’s no shortage of trim levels: S, SE, SE Sport, SEL, and Titanium. 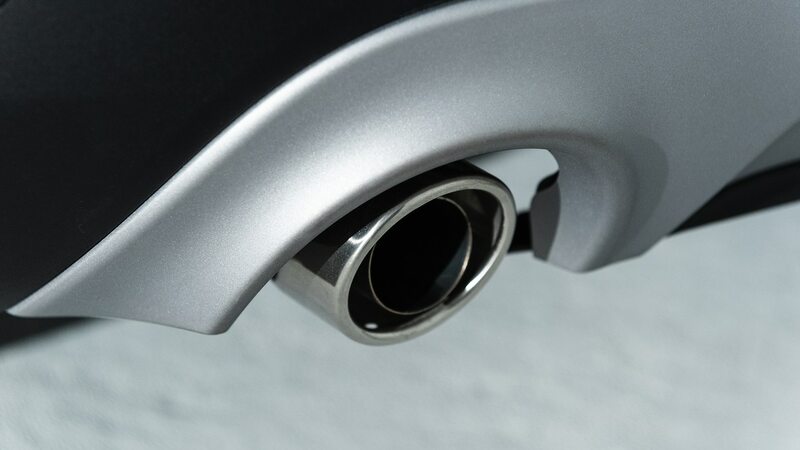 The base engine on the S, SE, and SEL trims is a 1.5-liter turbocharged inline-three engine built in Bridgend, Wales. 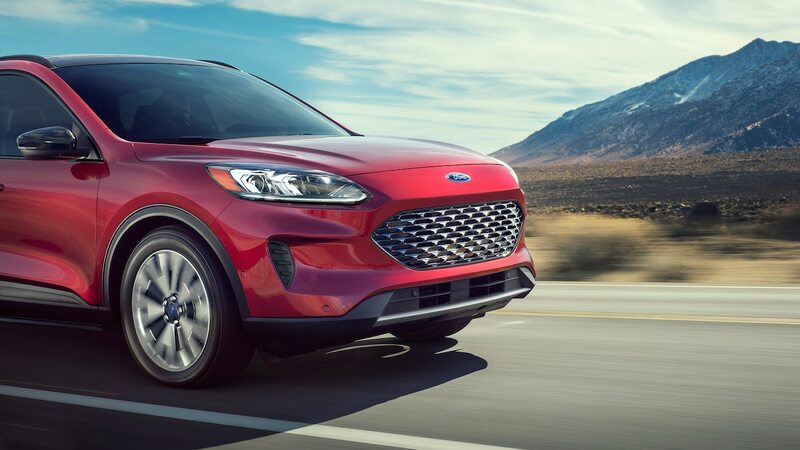 Mated to an eight-speed automatic transmission, the entry-level engine produces 180 hp and 177 lb-ft of torque, which is more power than the 2.5-liter I-4 that used to be the Escape’s base engine. 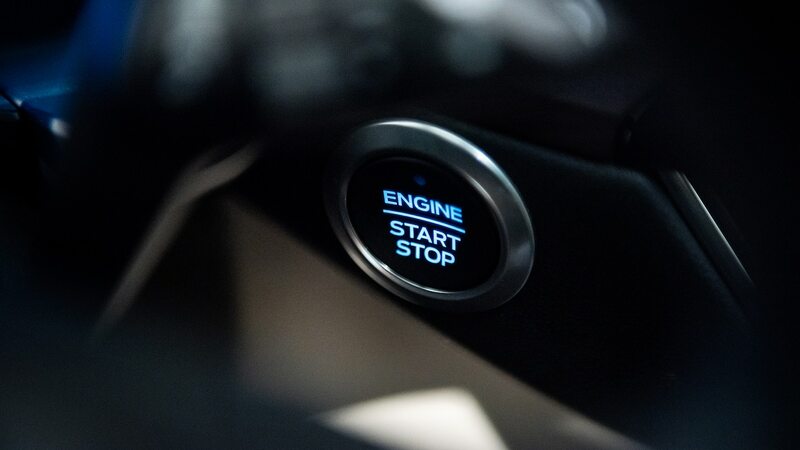 A new twist: The turbo-three has cylinder deactivation that shuts off a cylinder when it’s not needed. 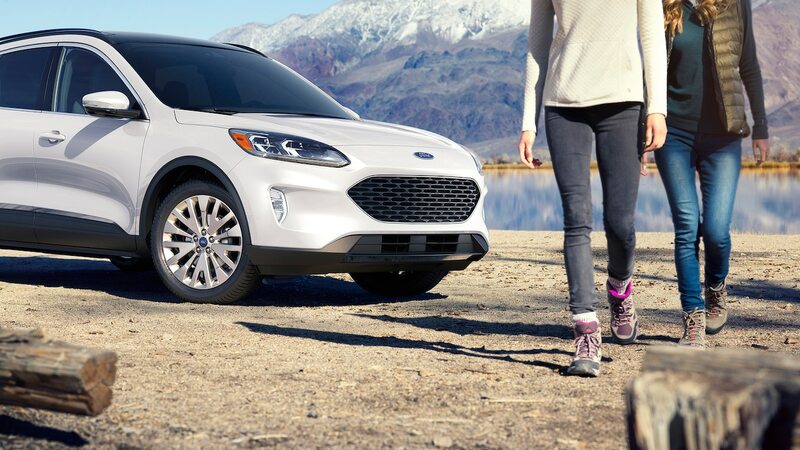 With the I-3, the Escape can tow 2,000 pounds (907 kg). 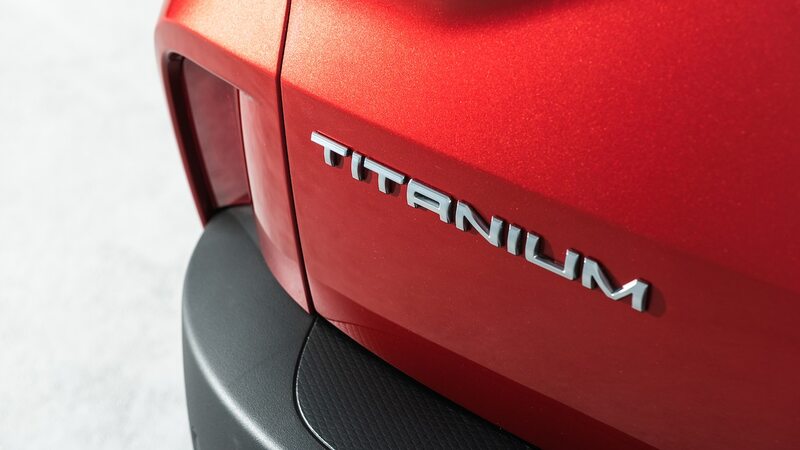 A 250-hp, 275-lb-ft 2.0-liter turbocharged I-4 is available on the top Titanium trim. 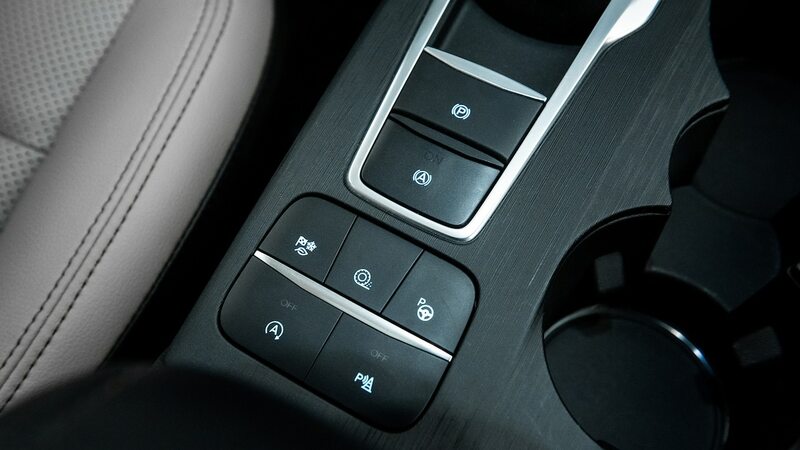 Its eight-speed comes with paddle shifters, and towing capacity increases to 3,500 pounds (1,587 km). 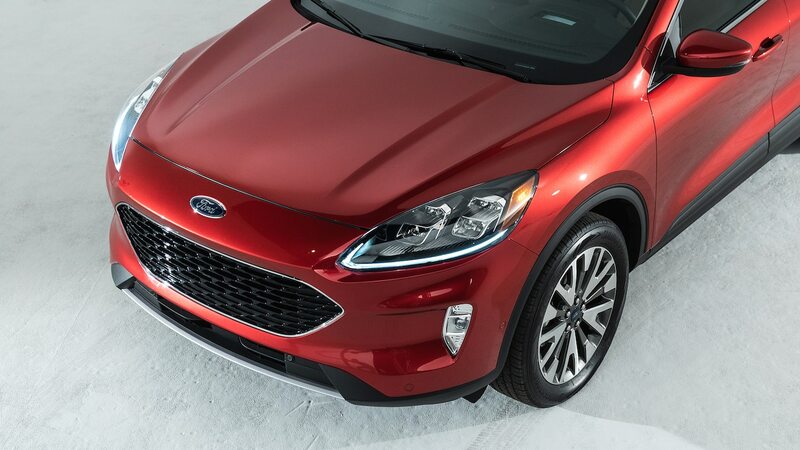 A hybrid powertrain is standard on the SE Sport and Titanium trims. 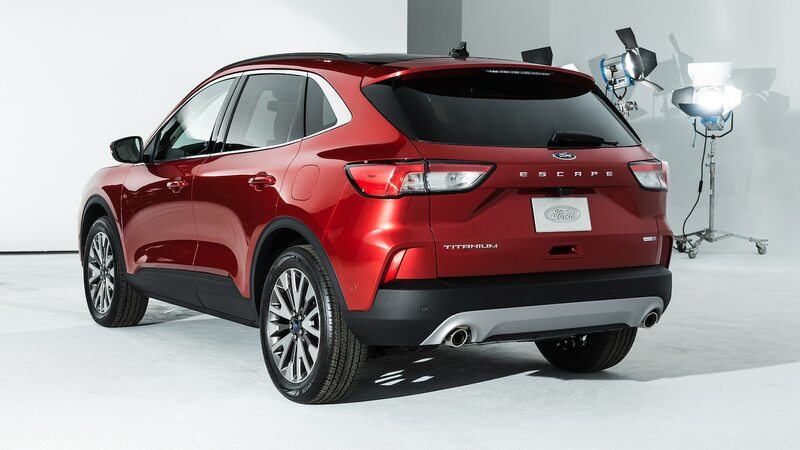 The hybrid uses a 2.5-liter Atkinson-cycle I-4 and a planetary continuously variable transmission. 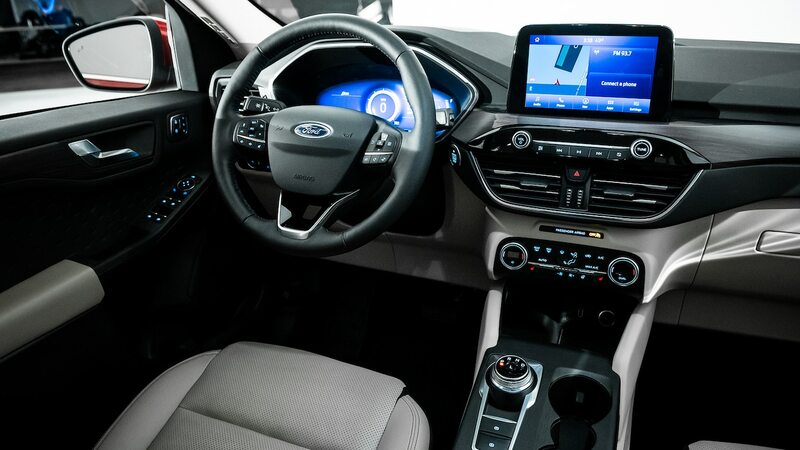 With an electric motor and lithium-ion batteries, it has a system output of 198 hp. 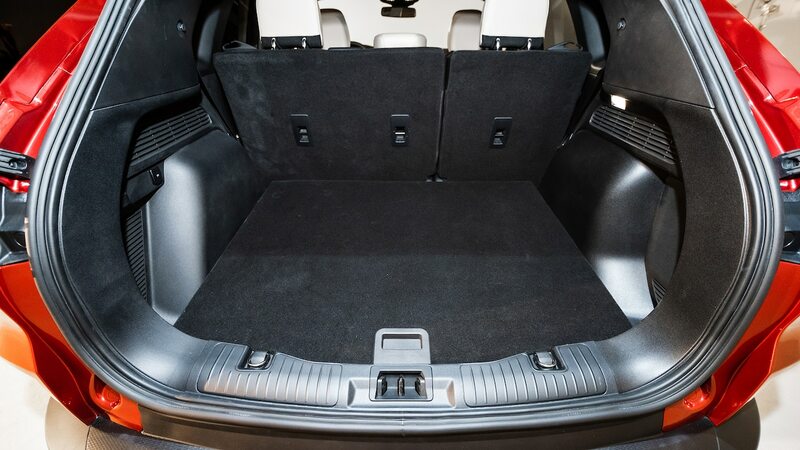 The briefcase-sized 1.1-kW-hr battery pack fits under the rear seats. 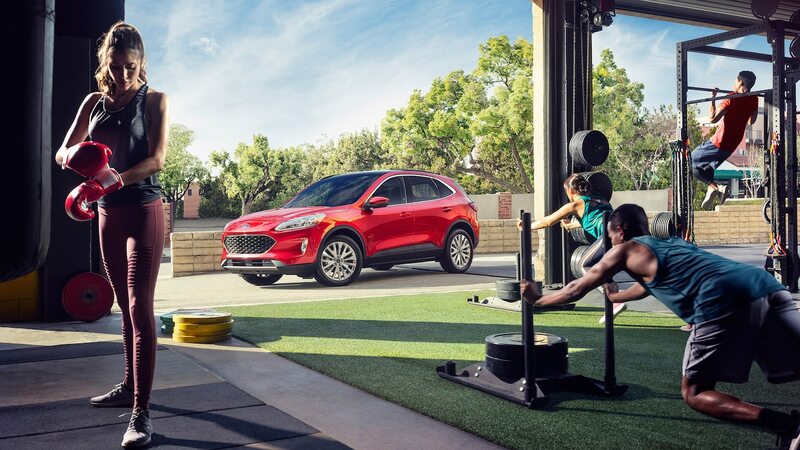 Ford introduced the Escape for the 2001 model year as the brand’s first unibody crossover; a hybrid came along in 2005. 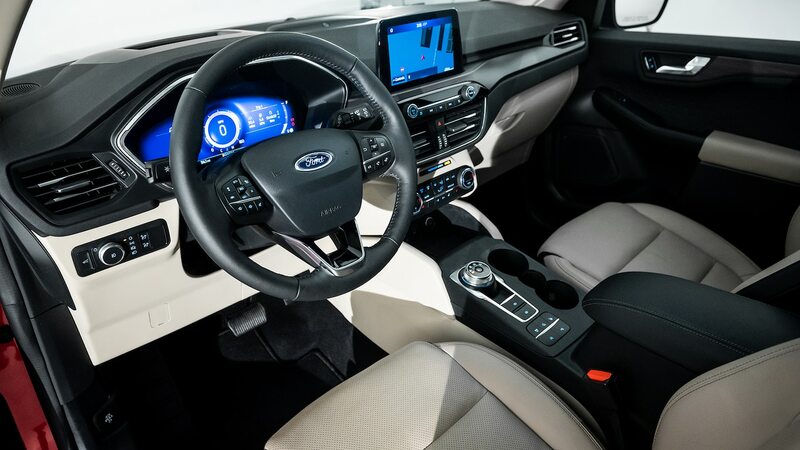 The hybrid proved popular, especially among New York cabbies; this group sorely lamented Ford’s decision to discontinue the hybrid in 2012 in the hopes customers would gravitate to the 2013 C-Max family of hybrids. 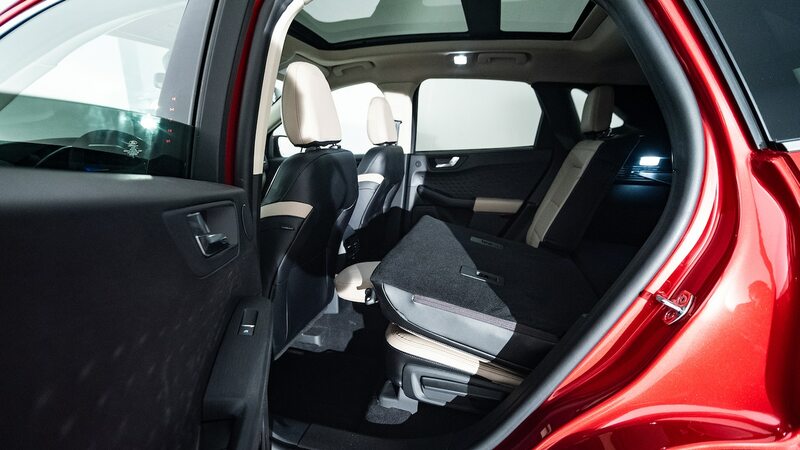 They did not, and the C-Max was discontinued in 2018. 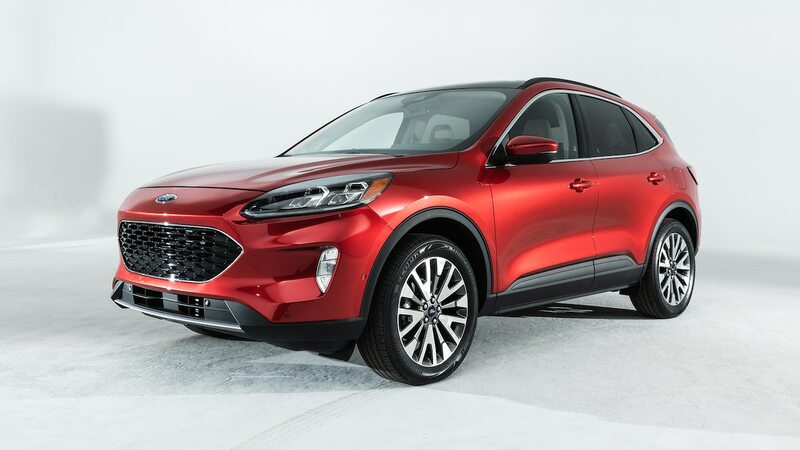 For the 2020 model year, the Escape hybrid is back and boasts 550 miles (885 km) on a single tank of gas. 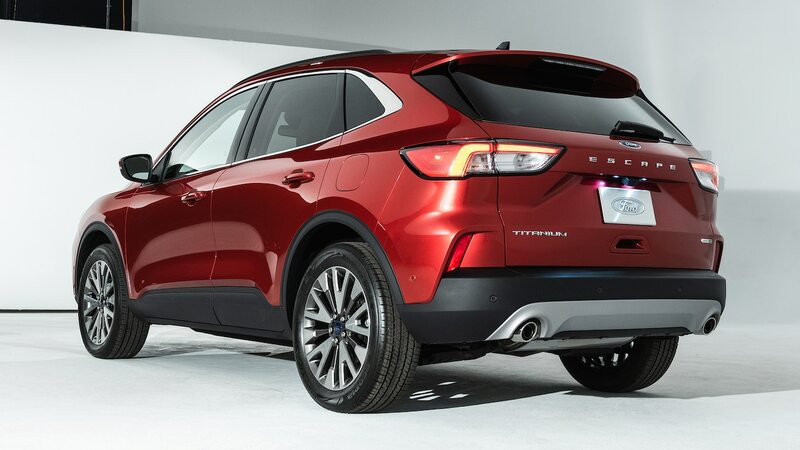 Cabbies may be pleased, but whereas a hybrid SUV was a rare bird in 2015, it has a lot of competition today. 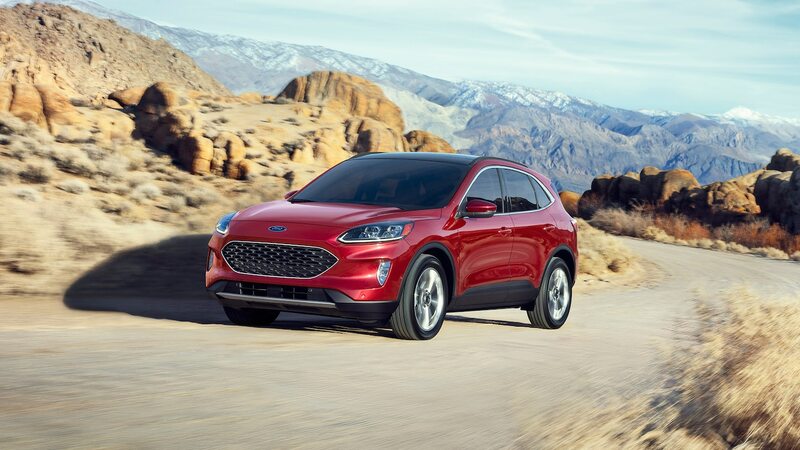 Ford has doubled down, offering the first Escape plug-in hybrid, available in all trims except the base S and the SE Sport. 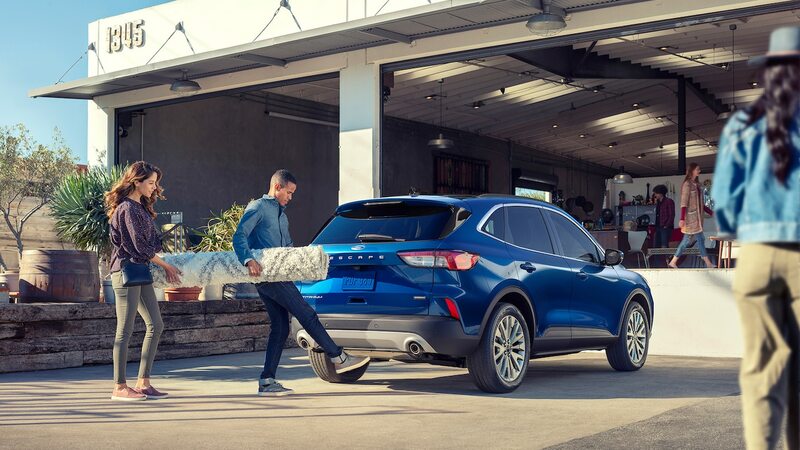 The PHEV uses the same 2.5-liter engine and CVT as the hybrid, but the larger batteries contribute to the 209-hp rating and give it a range of 30 miles (48 km) in electric-only mode. 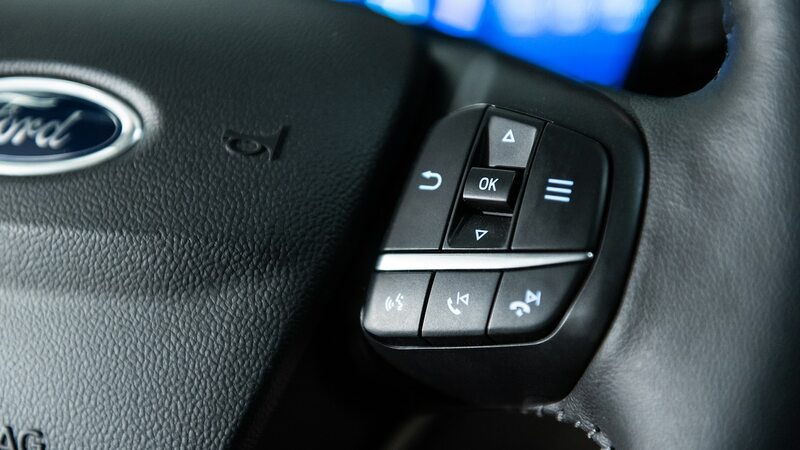 It’s front-drive only. 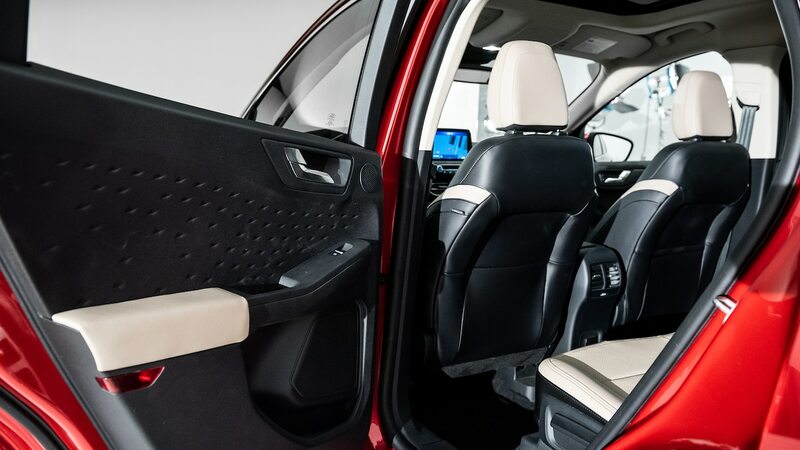 The 14.4-kW-hr liquid-cooled lithium-ion battery pack is located under the rear seats so as not to encroach on cargo space. 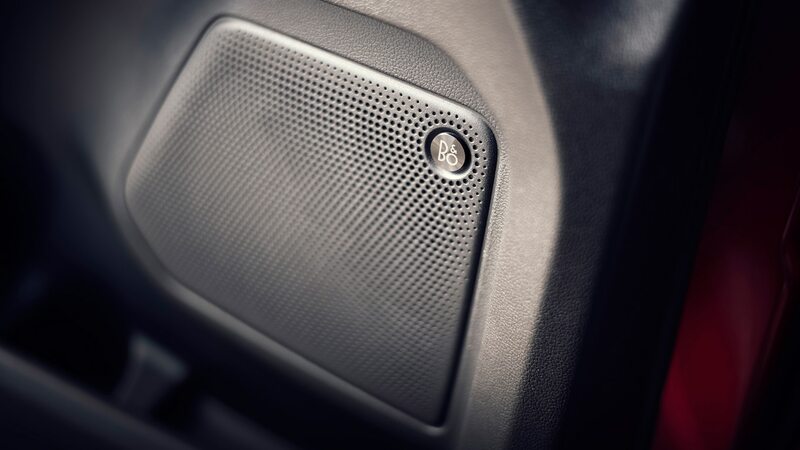 The hybrids also use active noise cancellation and more laminated acoustic glass than the gas-only models. 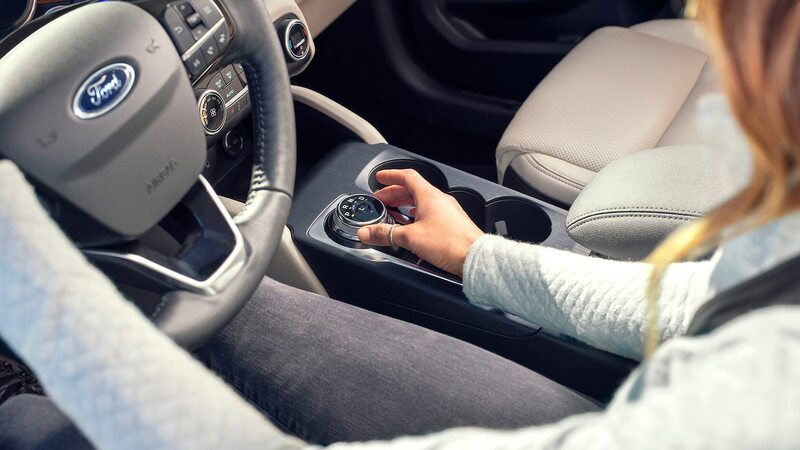 Charging time is 10 to 11 hours with a 110-volt charger or 3.5 hours with a 240-volt. 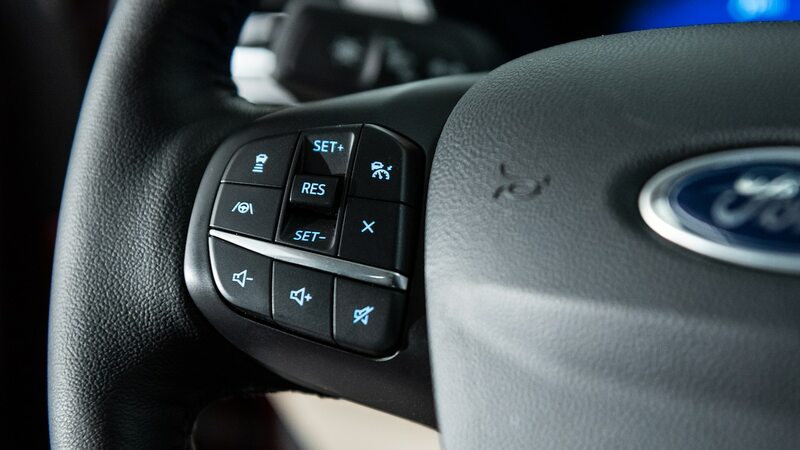 The Escape lets you decide how you want to use that power. 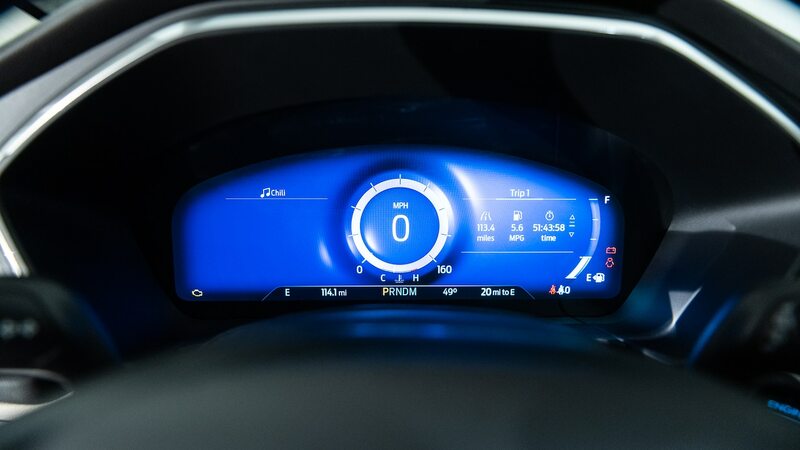 In Auto EV drive mode, the vehicle decides whether to run on gas or electric power. 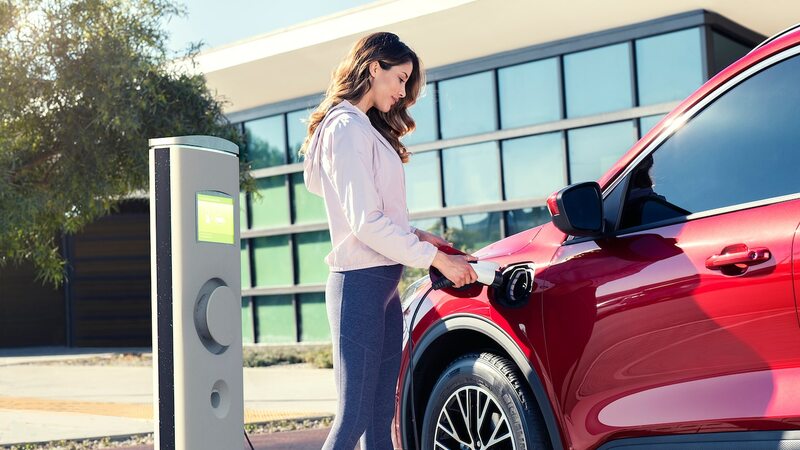 Switch to EV Now for electric-only propulsion (until it is depleted), or hit EV Later to run on gas now and save the juice for city driving later. 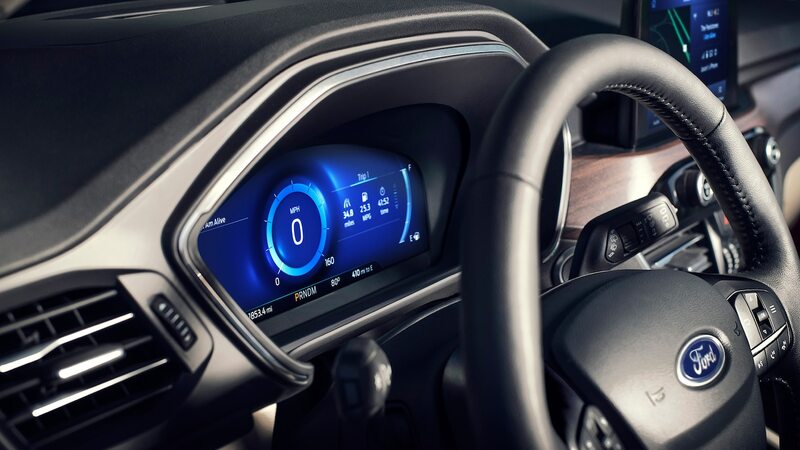 EV Charge mode tells the car to charge the battery while driving to ensure electric power later. 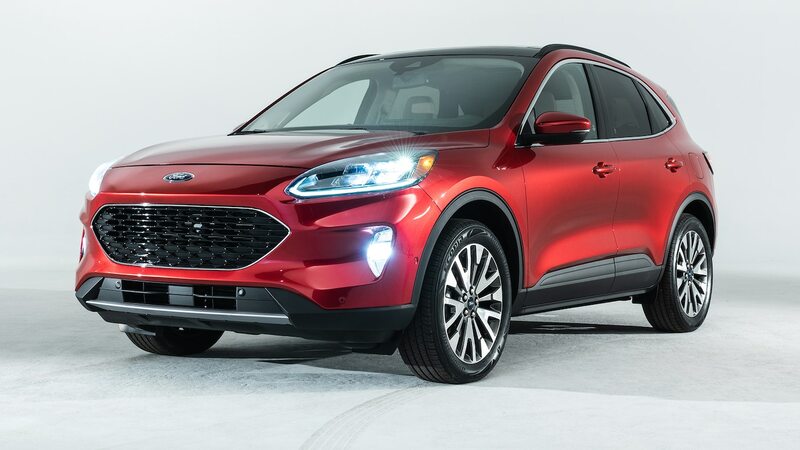 When it launched, the original Escape was one of six compact crossovers offered in the U.S. Today there are 22; pending launches will soon bring that total to 30, making it even harder to stand out in the segment. 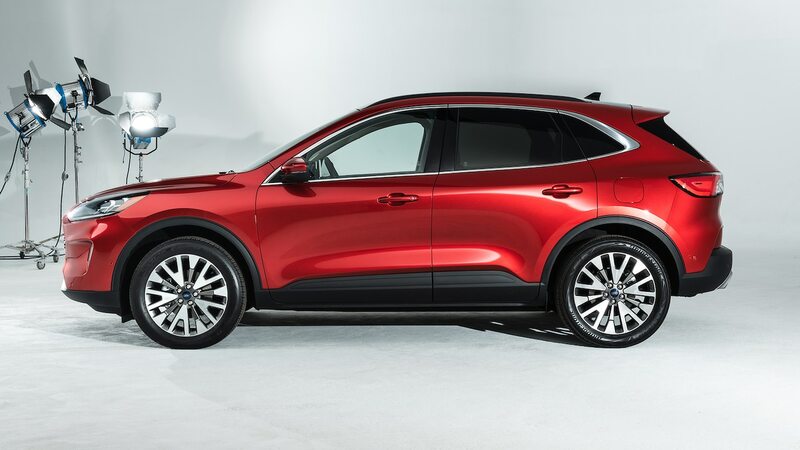 Style-wise, the 2020 Escape is lower, wider, and longer with Coke-bottle sculpted sides and a more tapered roofline. 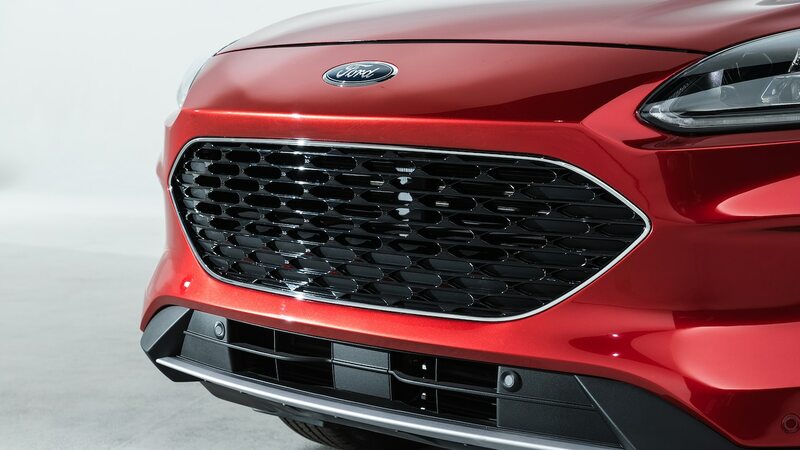 The trapezoidal black mesh grille is similar to the grille on the Mustang or GT with a slight shark nose. 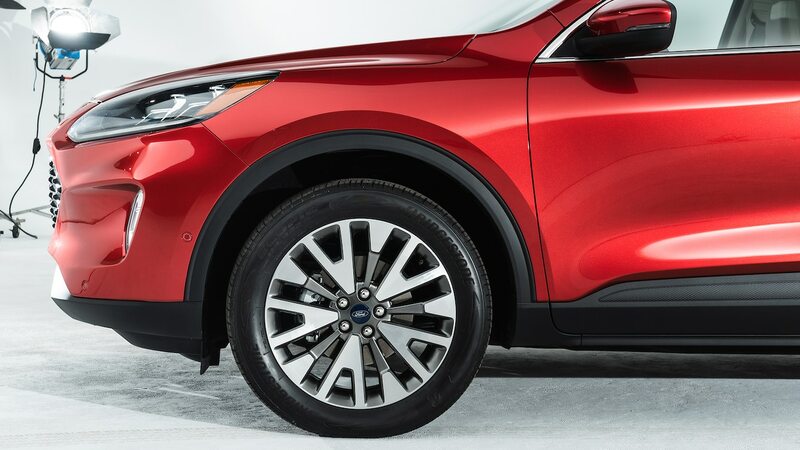 The Escape’s beltline was lowered, the A-pillar is thinner, and the hood maintains its power dome. 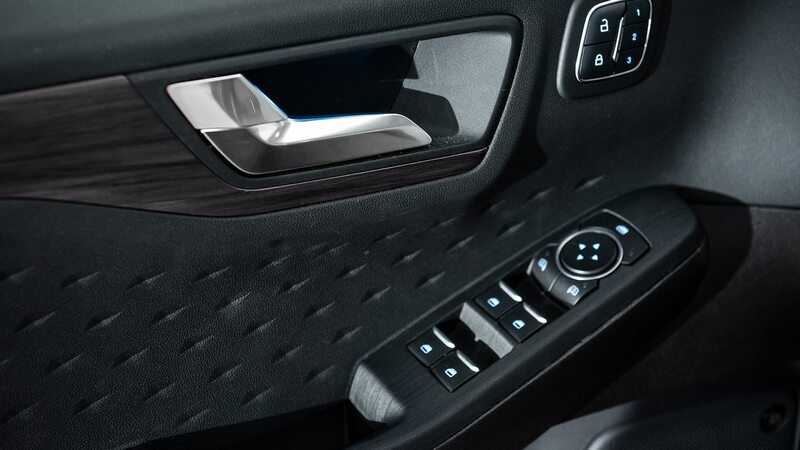 Cladding and trim have a mesh look reminiscent of an athletic sneaker. 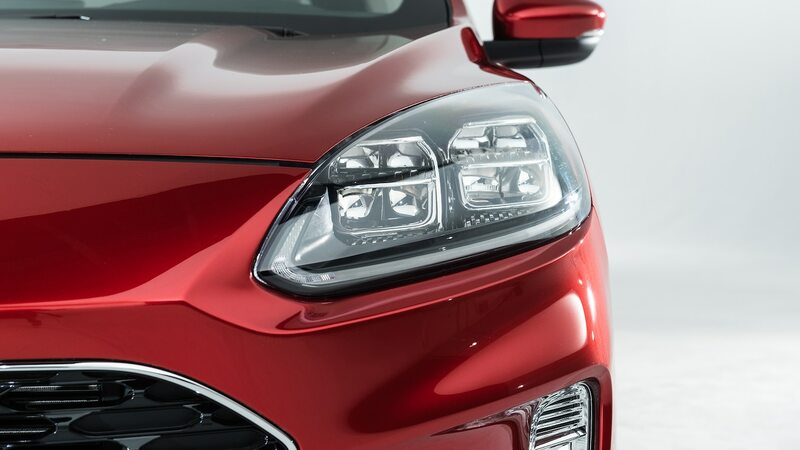 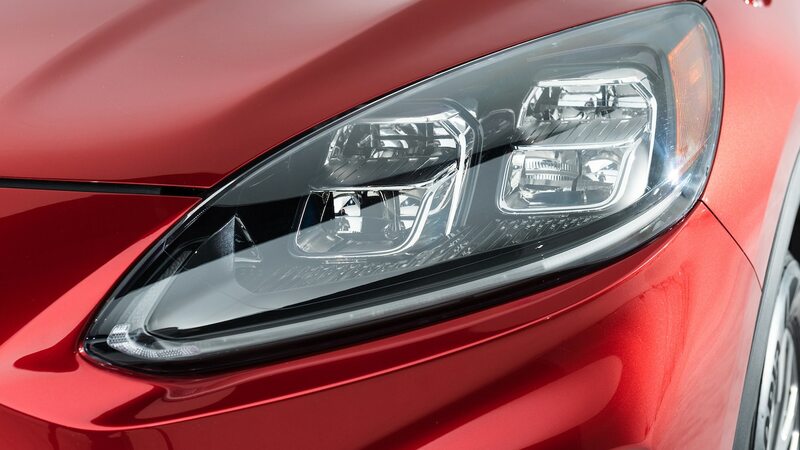 Headlamps and taillamps rest above the water line and are designed to look windswept. 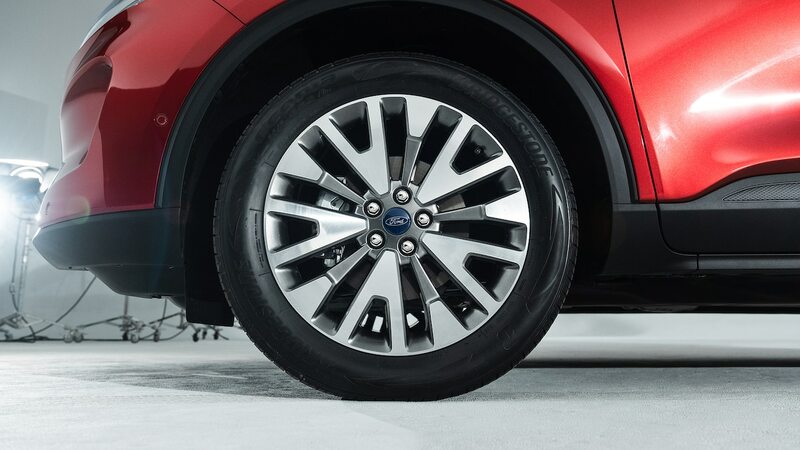 Wheels measure 17, 18, or 19 inches. 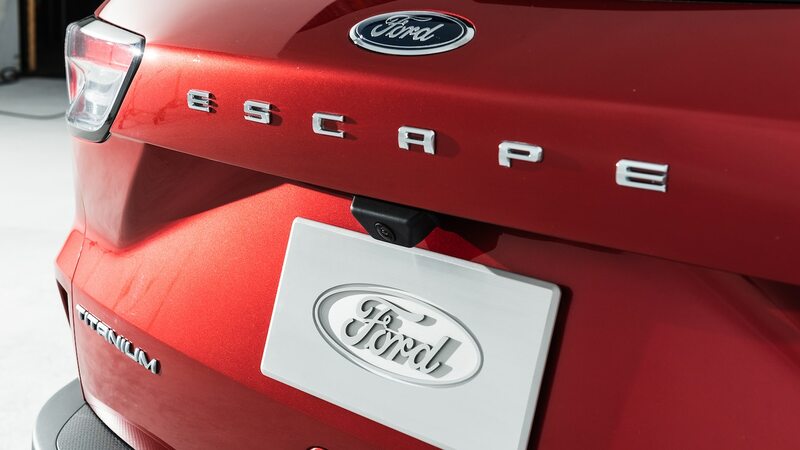 “Escape” is spelled out across the back, below the blue oval and above the license plate area. 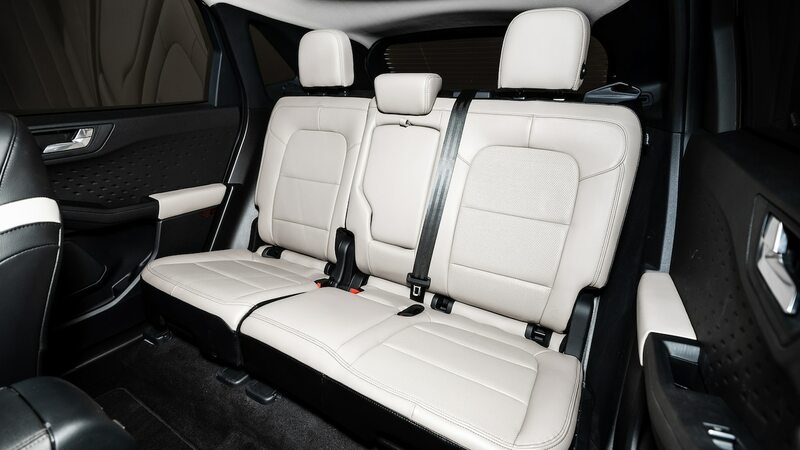 Inside, the second row got bigger, thanks to a wheelbase that grew 0.8 inch. 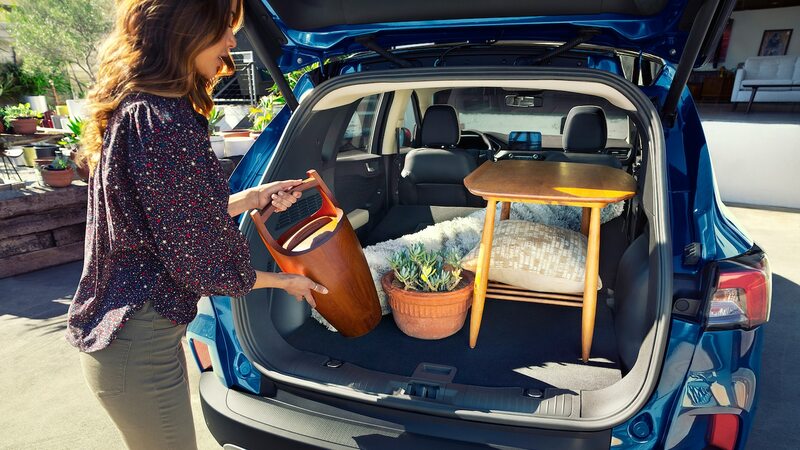 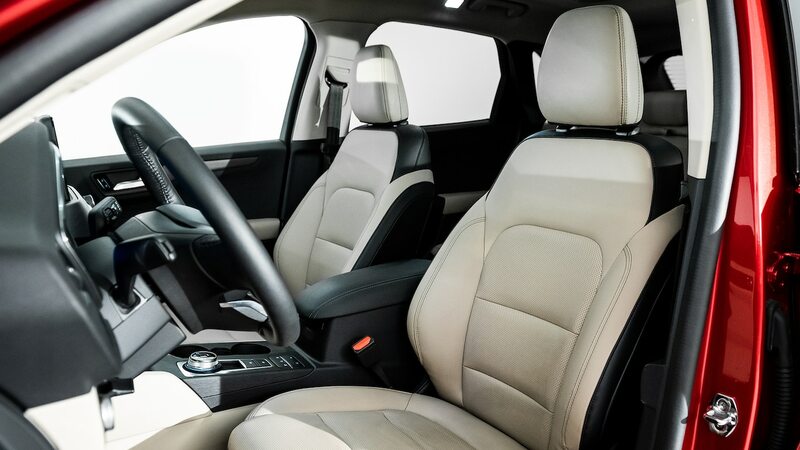 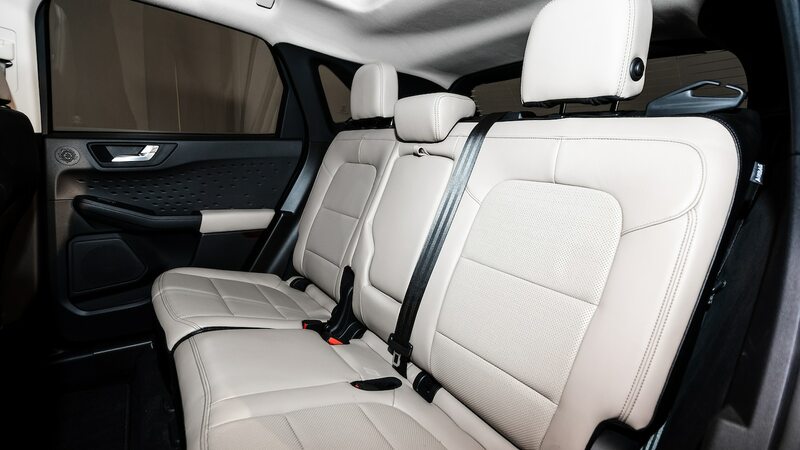 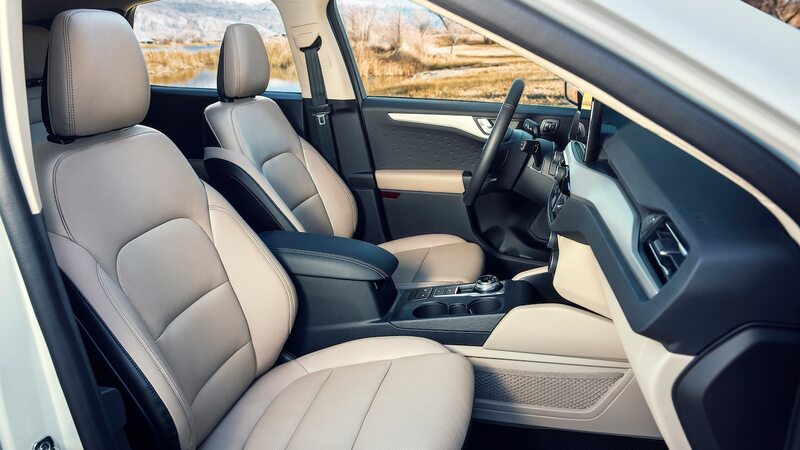 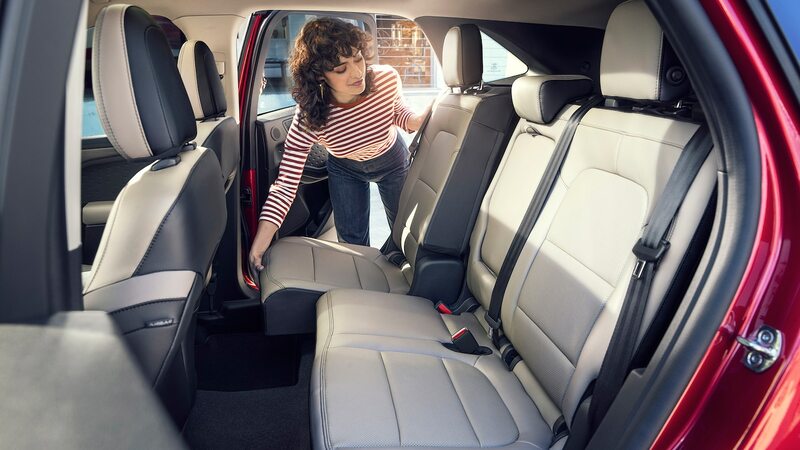 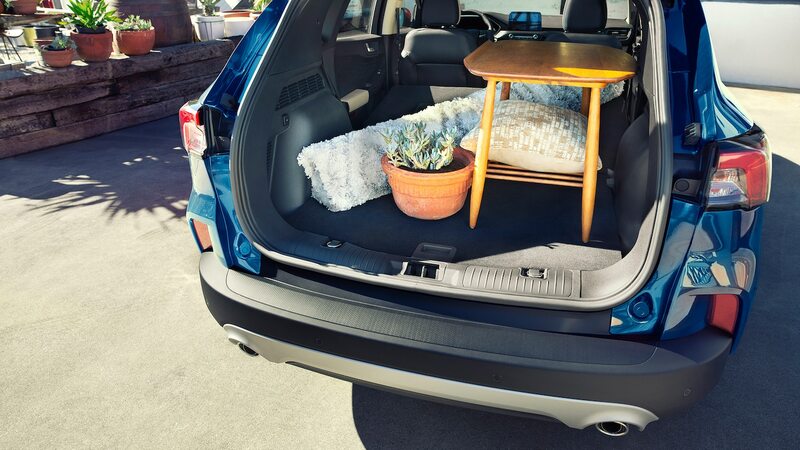 To make good use of the space, the second row now slides fore and aft 6 inches for extra legroom or to create as much as 37.5 cubic feet of storage space when pushed forward. 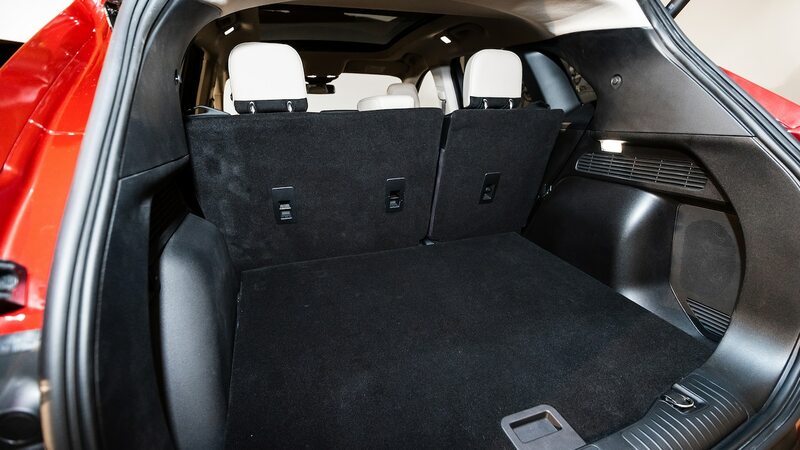 Headroom, shoulder room, and hiproom in both rows increases over the outgoing Escape. 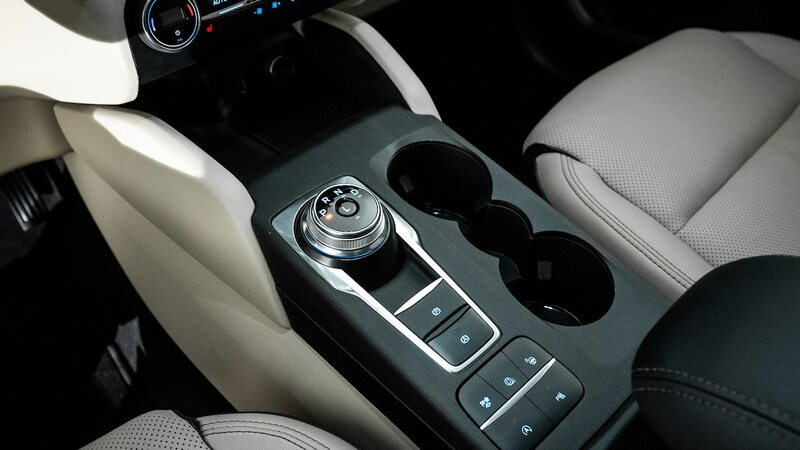 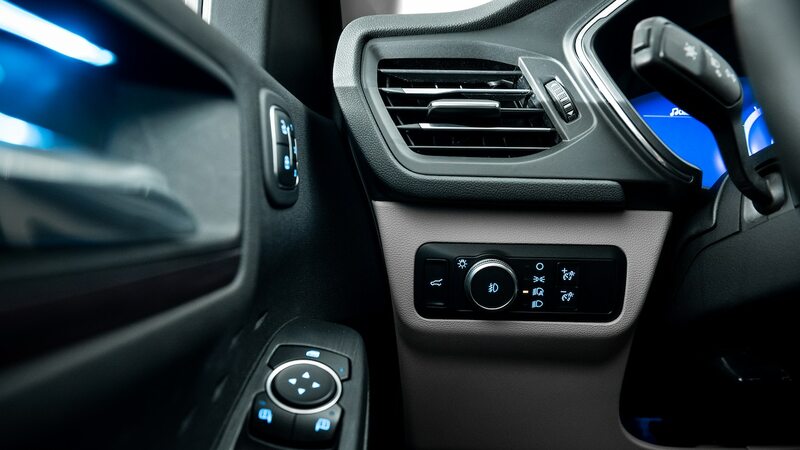 The addition of a rotary gearshift frees up more interior space. 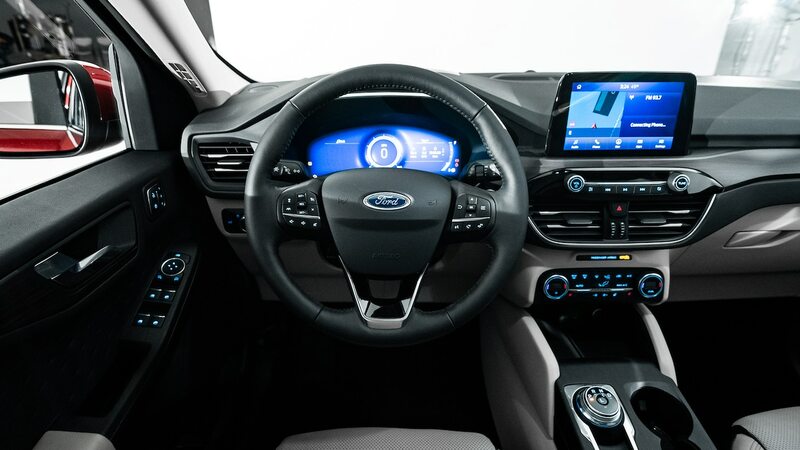 Its 12.3-inch customizable digital instrument cluster is a Ford first in North America. 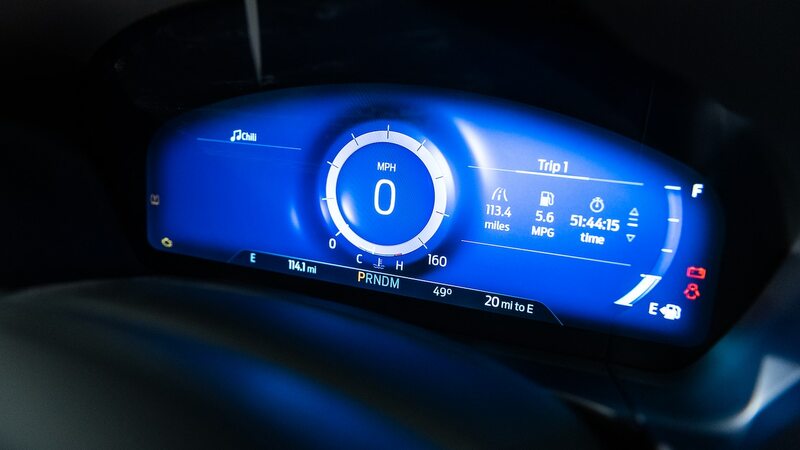 A head-up display is an option on the Titanium. 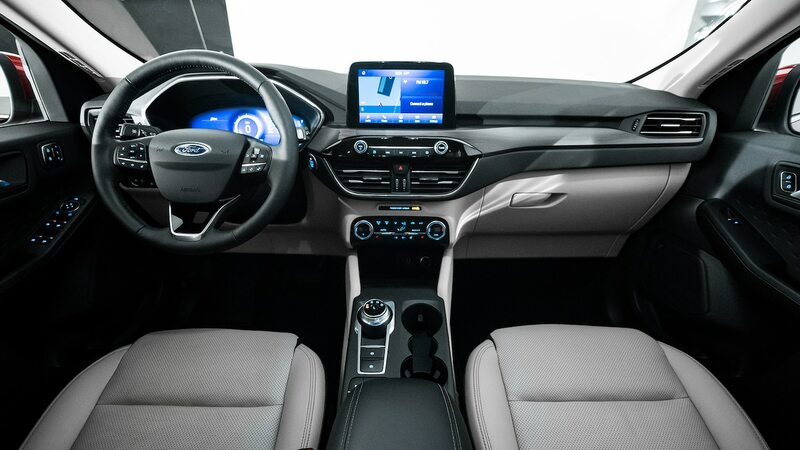 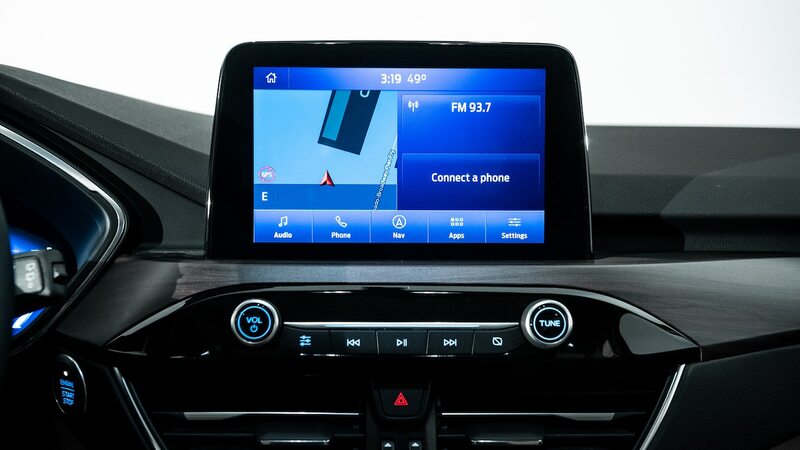 All but the base S trim have a standard 8.0-inch touchscreen. 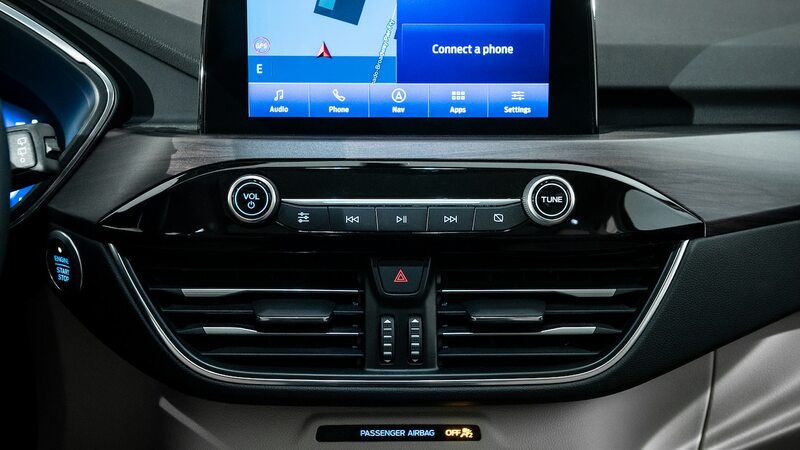 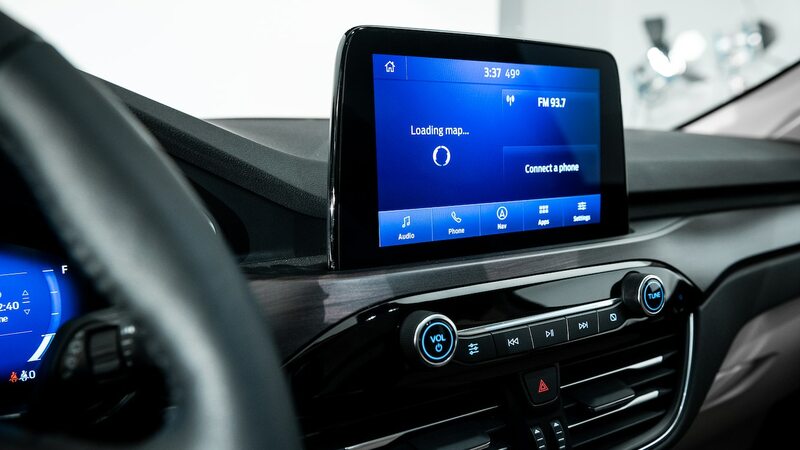 The Sync system is compatible with Apple CarPlay, Android Auto, Alexa, and Waze, and the SUV has an imbedded modem. 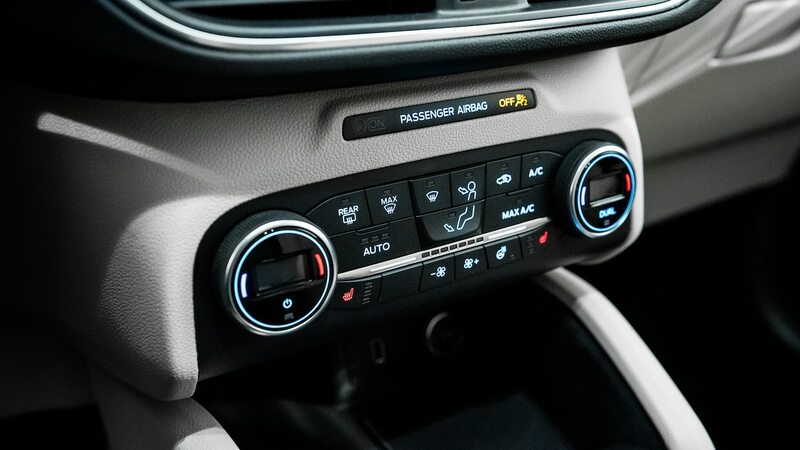 For tunes there’s an optional 10-speaker B&O Play sound system, and the 4G LTE Wi-Fi allows you to connect up to 10 mobile devices. 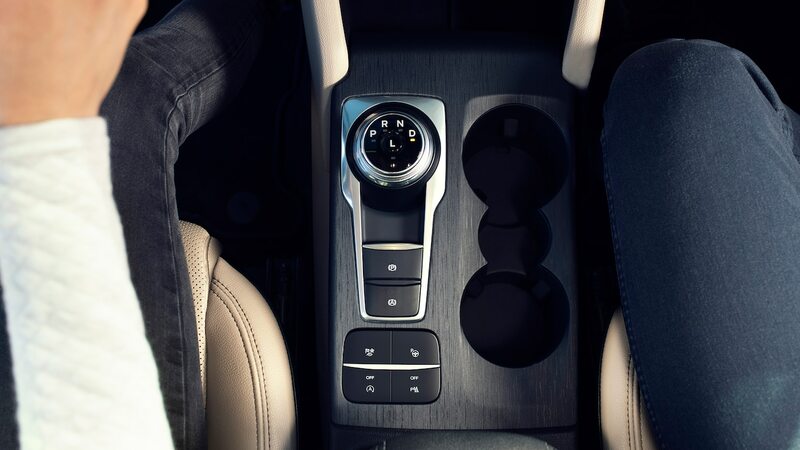 There will only be two USB outlets at launch, but two more are being added, and there are three 12-volt sockets and optional wireless charging. 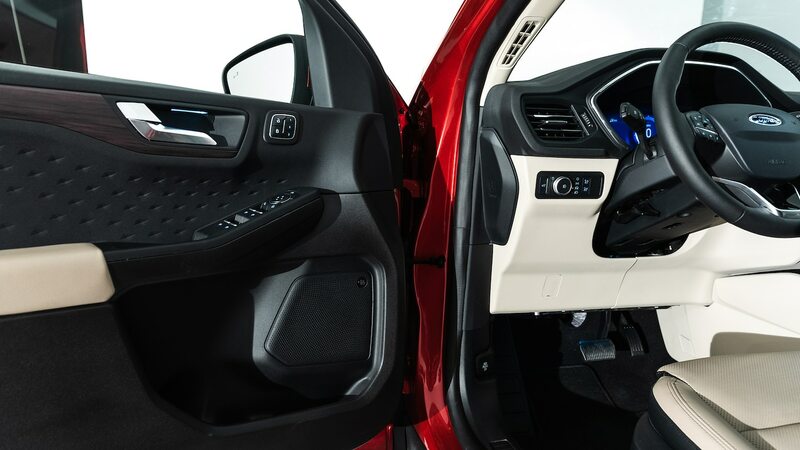 Despite the added content, the use of lighter steel helped the Escape shed 200 pounds (90 kg). 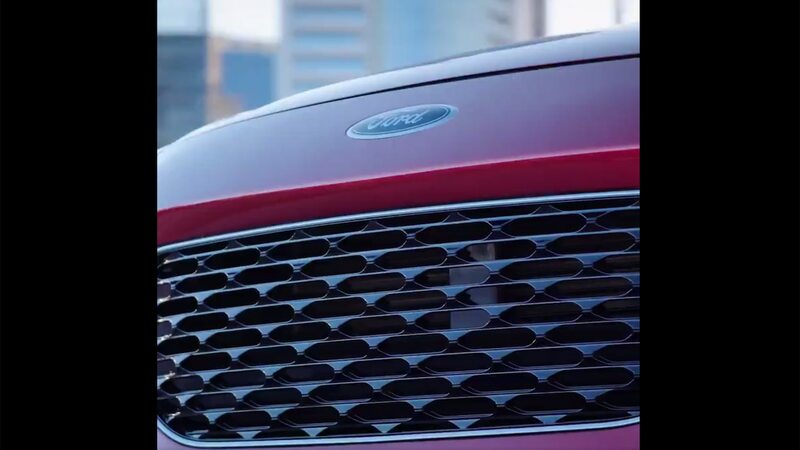 A more aerodynamic shape and efforts to create as flat an underbelly as possible for efficient airflow combined to reduce drag by 3 to 5 percent. 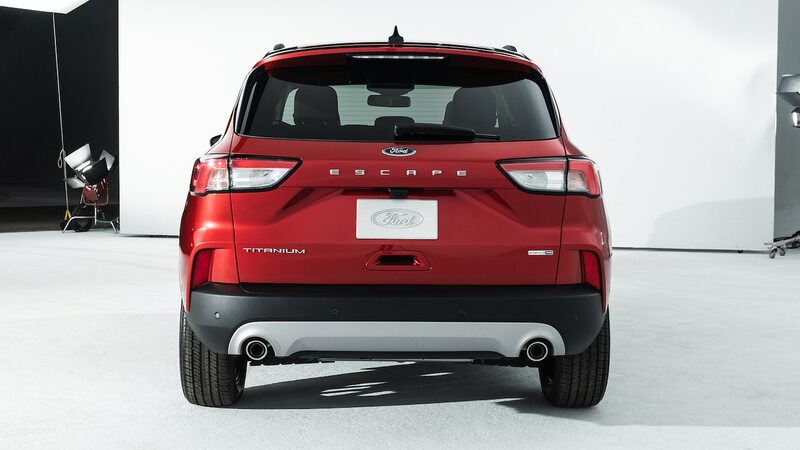 Escape adopts the same drive modes as big brother Explorer, including Normal, Eco, Sport, Slippery, and a mode for snow and sand. 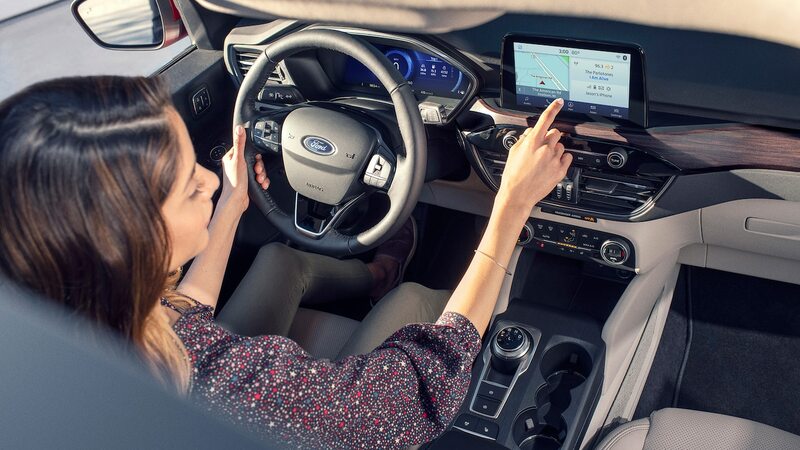 The standard Co-Pilot360 offers a menu of driver assist technologies, including auto high-beams, blind-spot detection, lane keep alert and assist, and automatic emergency braking. 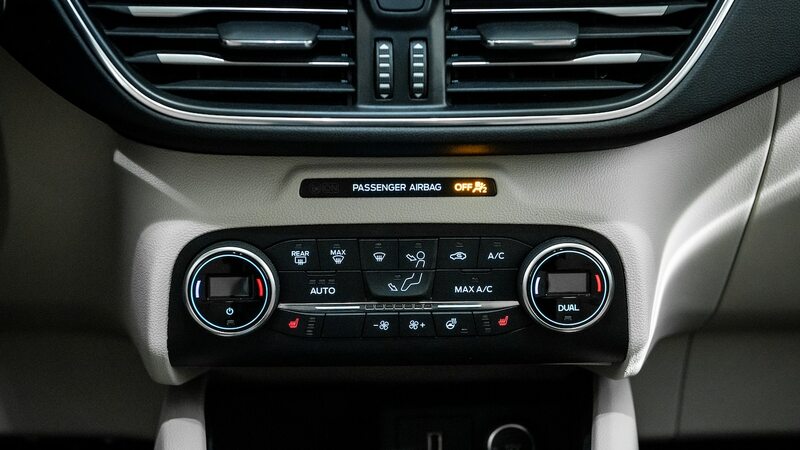 Among the options are adaptive cruise control, lane centering, and Active Park Assist 2.0, which helps you park with the push of a button. 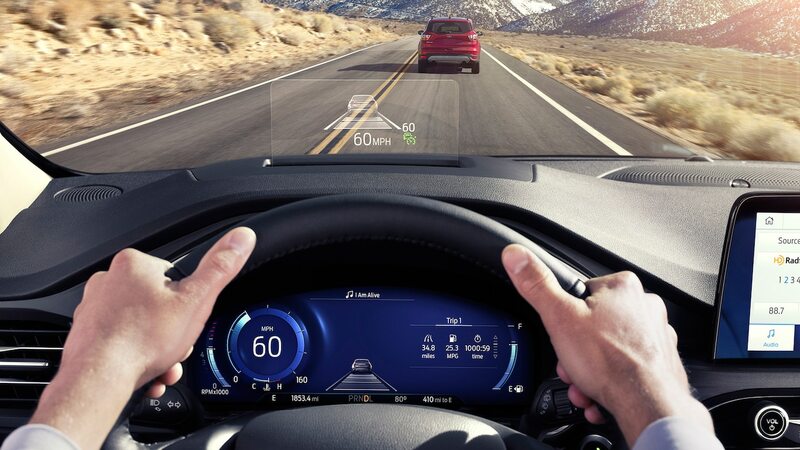 Evasive Steering Assist detects a vehicle that is stopped or suddenly slowed and helps you swerve around it. 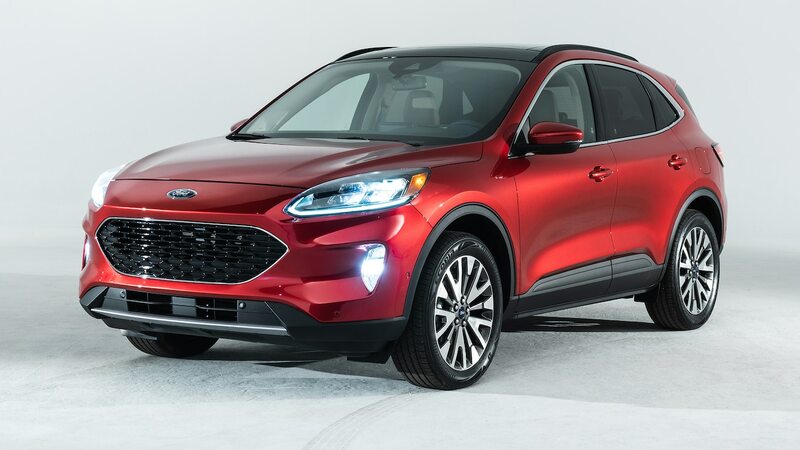 Built at Ford’s Louisville Assembly Plant in Kentucky, the Escape goes on sale this fall with the plug-in hybrid launching in spring 2020. 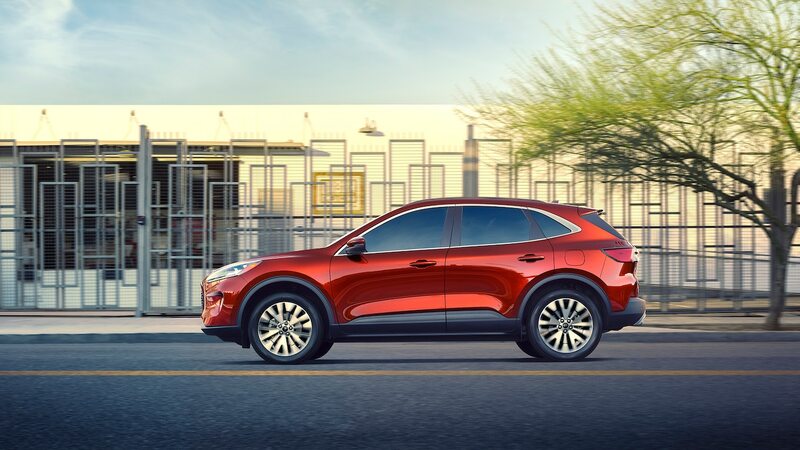 Louisville is one of five plants that make the Escape/Kuga worldwide for sale in 180 markets. 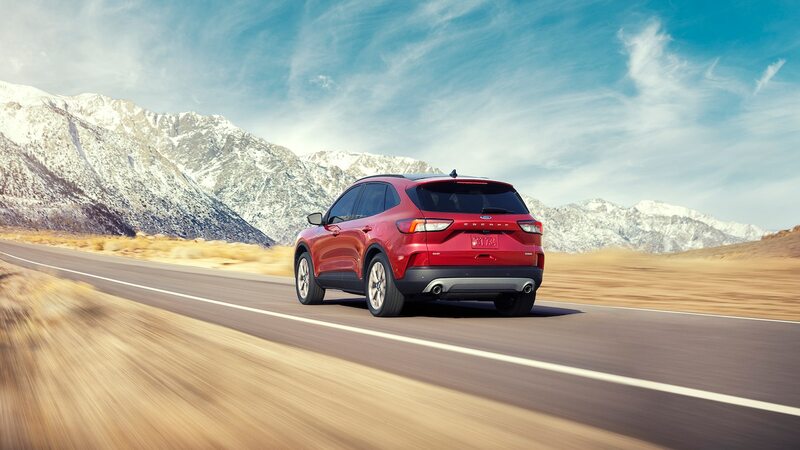 Success is imperative. 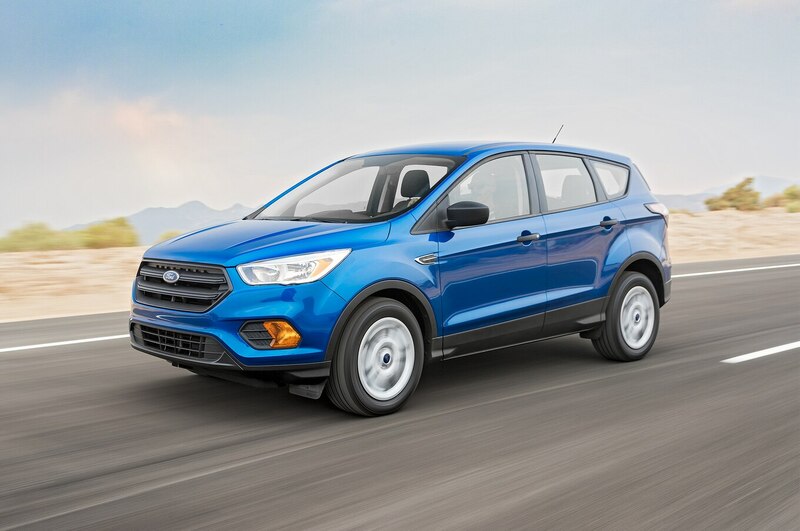 With about 4 million sold to date, the Escape is Ford’s second-highest-volume vehicle behind the F-Series.